People sleep in a multitude of different positions throughout the night. Some sleep on their backs all night, while others toss from side to side. Some even sleep on their stomachs. There are even people who sleep in a recliner sitting up. The age old question still remains. Which position is best for the human body? There are pro’s and con’s to each position, but one position remains supreme. 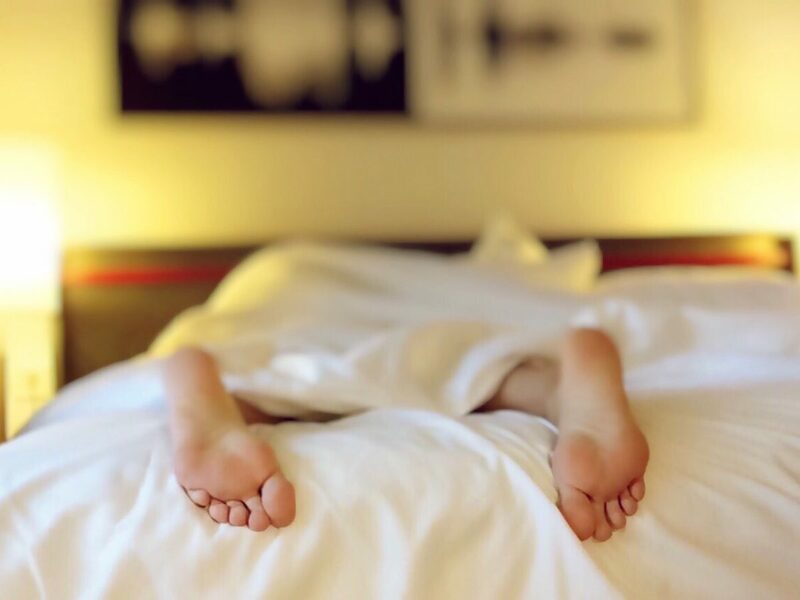 In this article, we will discuss the positive and negative ramifications of each way of sleeping. Reading this article will supply information to help you choose which position is right for you, so without further delay, let us get started. Many people feel comfortable sleeping on their sides. There is a reason behind the constant shifting from side to side throughout the night. Many do not know this, but when you sleep on one side too long, you are cutting off the circulation in that side of the body. When the circulation gets blocked, the subconscious body shifts position. That would be the biggest con to sleeping on your sides. Another con would depend on which side you sleep on the most. According to experts, sleeping on the left side puts strain on the stomach and lungs. Straining your organs is never a good idea. Yet the same source says that sleeping on the right side puts strain on the heart. So what gives? Is there a reason to sleep on your side? According to experts, sleeping on your sides is good for pregnant women and people with back pain. Sleeping on your side with back pain can relieve the pain in certain situations. Also, for pregnant women, sleeping on your side can take pressure off of your stomach and other organs. Soft, silky bamboo sheets and other sleep aids can make your night even more restful. Sleeping on one’s stomach has its own list of health issues. First, it puts tremendous pressure on the stomach and chest. Sleeping in this position is even more extreme than sleeping on your. Sleeping this way can put strain on the digestive tract. This can stop the stomach from digesting food in the correct manner, causing bowel congestion. Sleeping on the stomach can put strain on the organs in your chest as well. That would explain why most people, shortly after falling asleep on their stomachs, turn onto one side. The human body is a marvelous thing. Even in one’s subconscious state, the body takes over. Just like when sleeping on your side, the body knows something is wrong and you turn in your sleep to right the wrong. On a positive note, when someone has hurt their back, the hospital will place the them on their stomach. Burn victims placed on their stomach experience relief in pressure on the back if they have back burns. Placing them on their burned areas can cause even more damage. Some people fall asleep sitting upright in a recliner. This puts strain on the neck and buttocks. People who sleep this way often wake up with a crick in their neck. Not only that, but they suffer from this condition chronically. We all have suffered from this. It is hard to function throughout the day when you can not turn your head, and without sheets or blankets, to say nothing of sleep-improving aids like bamboo sheets, rest is rougher and less healthy. That is also why the person sleeping this way wakes up several times per night. Another con to this sleeping method is pressure on the buttocks. Just like when we sit for long periods of time at work, this cuts off circulation. When this occurs, the brain will wake up and compel the sleeper to change position. Since there is only one possible position, the brain will wake the person up every hour or so. Considering that this is the recommended position for all sleepers, there’s no cons here. Sleeping on your back is the position recommended because of the shape of the body. Yet remaining comfortable requires more that a flat mattress. The crook of the neck and the lower lumbar need support in order for this to be comfortable. The back of the head makes it a must to place a special pillow at the crook of the neck to support the neck. For centuries, the Chinese have slept this way, and with good reason. Sleeping on the back takes pressure off of vital organs that try to function as you sleep. So why is it uncomfortable for the back? Like the crook of the neck, the lumbar needs support as well. The natural curve of the back makes it hard to sleep on restfully. To remedy this, you will need another special pillow to support the lumbar.